Combining our expertise in pristine sound with the robust form-factor of the pro studio, the Arturia AudioFuse 8Pre is both a feature-rich standalone interface and a reliable ADAT preamp expander in one. 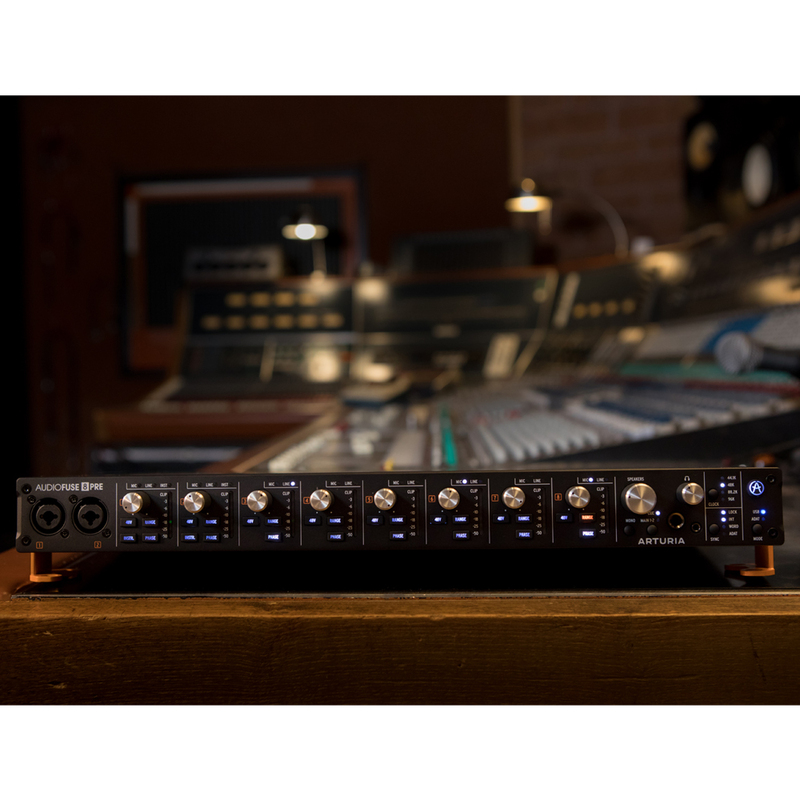 Packing 8 channels of premium analog audio, rock-solid sync, USB-C and optical connectivity, AudioFuse 8Pre is destined to become the expander of choice in studios and creative spaces around the world. AudioFuse 8Pre offers unrivalled quality at its price point. 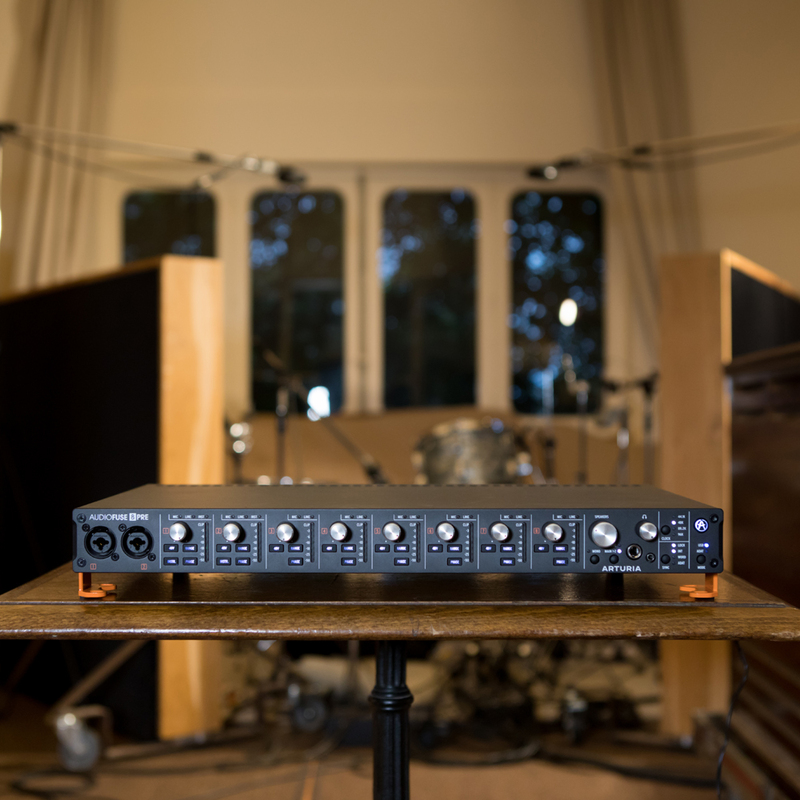 The 8 Discrete Pro© preamps and analog signal path will let you truly “hear” your audio for the first time. The super-low Equivalent Input Noise (EIN) lets you capture every subtle detail, while the huge input gain will drive even the most demanding low-output mics. All this with a totally flat frequency response for total transparency. 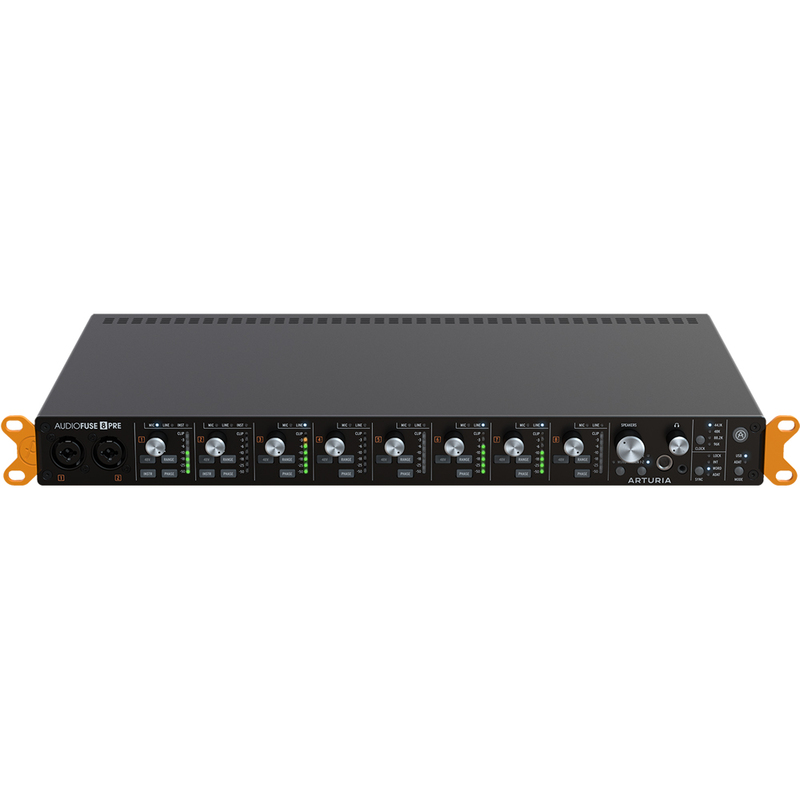 Even if this unit was just 8 world-class preamps, it would be worth the money, but it has so much more to offer. AudioFuse 8Pre can fulfil any studio role. 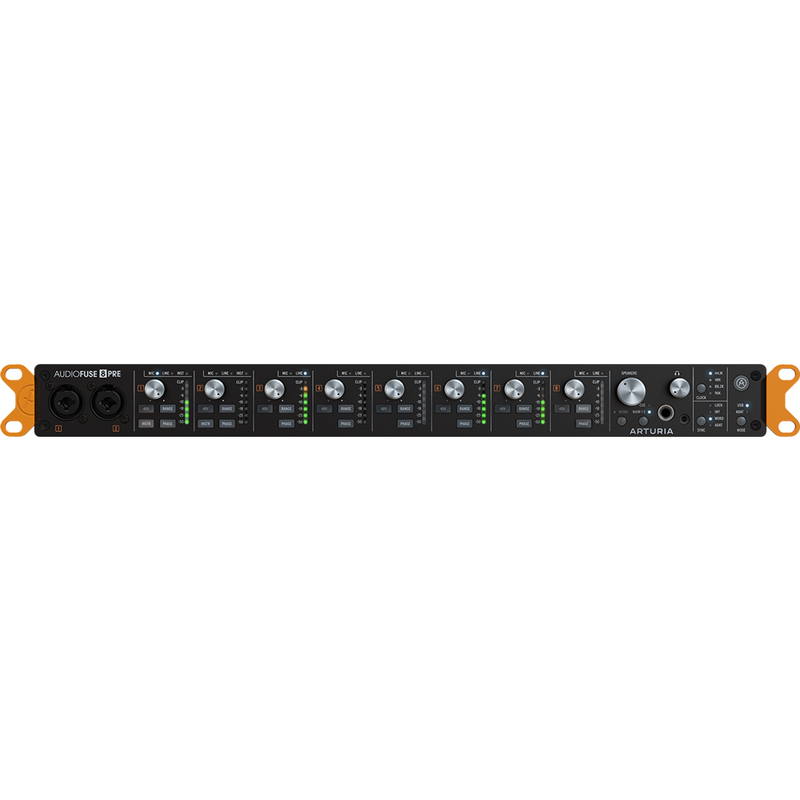 You already have a powerful interface, but need more inputs? AudioFuse 8Pre is the perfect ADAT preamp expander. Want to record multiple channels, but don’t own an ADAT-capable interface? AudioFuse 8Pre can connect directly with your computer so you can record multi-tracked instruments all at once. It’s a high-performance audio interface with USB connectivity, speaker outputs and independent headphone output. Use on its own; expand your existing interface; cascade 2 AudioFuse 8Pre together via ADAT. AudioFuse 8Pre does it all. Sometimes it’s the little things that matter most. It’s easy to use, with one-button, one-function design and features backwards-compatible USB-C connectivity for super compatibility. 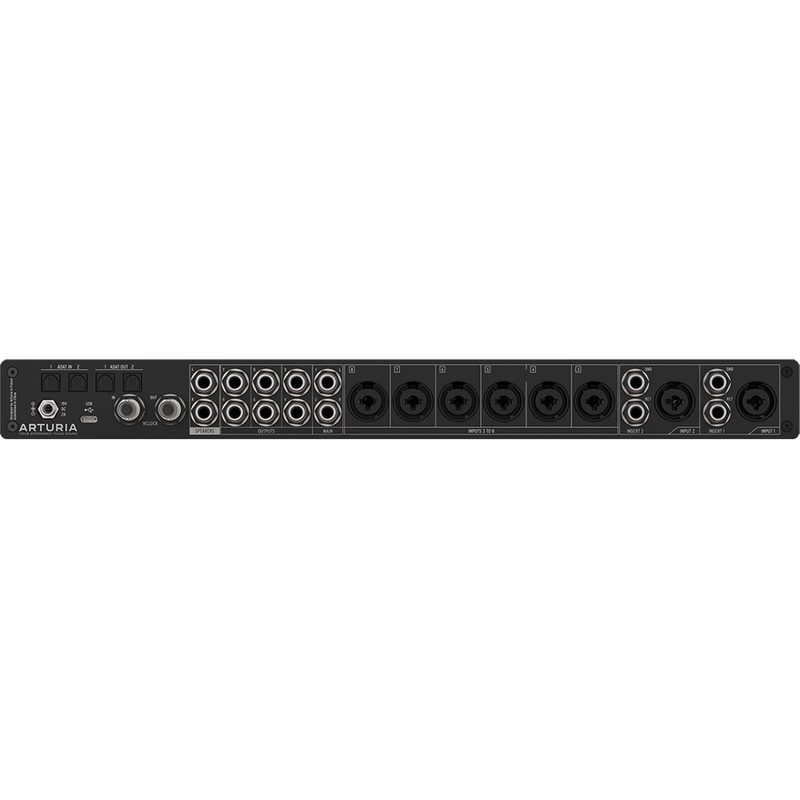 It’s housed in a robust metal chassis, and the included rack ears can be mounted to either face forward or down, letting it stand freely or be integrated into your 19” racks depending on your setup. It also features ADAT in, so you could send your musicians cue mixes using its headphone output. AudioFuse 8Pre comes complete with the AudioFuse Creative Suite, an ever-evolving collection of software effects and instruments that will let you add your own unique signature to your music. Combining favourites from our “You’ll Actually Use” series with Analog Lab Lite, AudioFuse 8Pre lets you also enjoy legendary signal processing effects and iconic synth sounds. Colour the pristine inputs of AudioFuse 8Pre with stunning vintage effects!